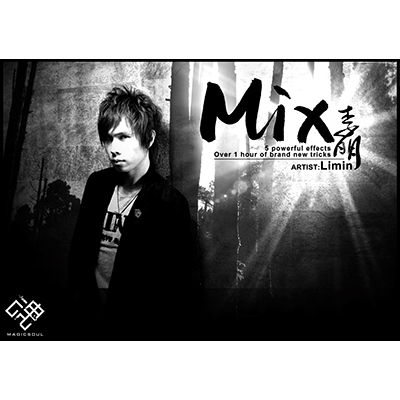 Limin is the most creative magic artist and the best effect designer in Taiwan. For the first time Limin shares his particular ideas to you. In this DVD, you will lean 5 visual effects, and every DVD comes with all props you need. These tricks you will do and fry your audience as well! No Hype on this trailer. The effects look the same in a real life perferomance. l With one normal bill and one business card, all borrowed from the audience. Without any cover, the business card will penetrate from the back of the folded bill to the middle, and then pass through the bill directly! Take out two cards, and borrow one coin from the audience. Put the coin between the cards. The coin will disappear immediately when one card covers it. Cover with the card again, the coin will reappear with the blink of an eye. Use this with Matrix or by itself! "All I want is Limin's Brain! Mix just made my jaw drop." "Limin is one of my best friends, he is very creative and talented. I think Mix is truly eye-popping close-up illusion, sure to be a classic without a doubt!" "It's just like the CG effect happening in front of my eyes."